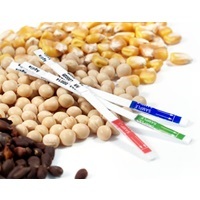 This ImmunoStrip® test is intended for seed quality purposes to determine the presence or absence of the drought resistance traits (CspB) in transgenic corn. This test system can be used to test individual corn seed and corn leaf or detect 1.0% transgenic CspB seed in a minimum sample size of 300 seeds. 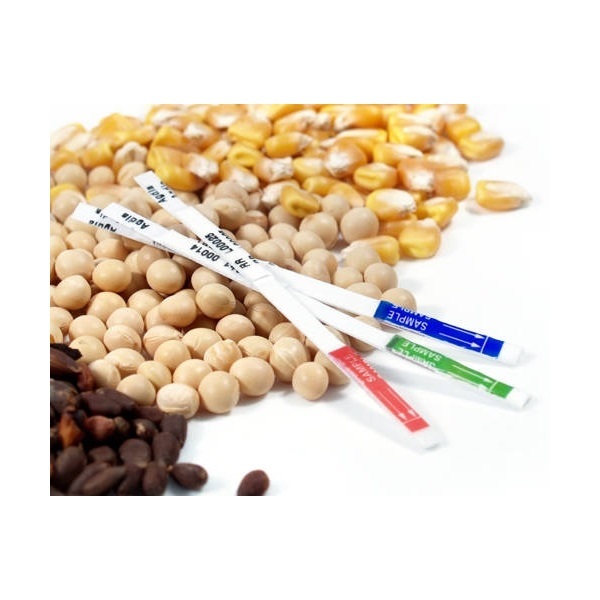 The CspB ImmunoStrip® has shown no cross-reaction with other transgenic proteins in corn seed and leaf including CP4 EPSPS (Roundup Ready® corn), Bt-Cry1Ab, Bt-Cry1F, Bt-Cry2A, Bt-Cry34Ab1, Bt-Cry3Bb1, mBt-Cry3A, PAT/bar, VIP3A, GA21 and GT21.